This Is How You Will Get A Oneplus Cardboard In India. Oneplus 2 is being teased all over and the so called #hype has really raised up the bar since Mkbhd uploaded a video on YouTube, revealing that Oneplus 2 will have a 13MP Camera. Well the launch Event is about to happen on 27th July(Globally) & on 28th July(India). This time they're introducing a new way of how we as consumers can enjoy the launch Event, right at our homes & that is through Virtual Reality. Well just couple of weeks ago, Oneplus Cardboard went out on sale for just 0$(Without Shipping) globally. Some lucky people grabbed their hands on it, as it was on first come first serve basis. But the country that was skipped earlier in this thing was India. Soon it was announced that in India Oneplus Cardboards will be available at Rs.99( without shipping) Although it isn't out for sale yet. Oneplus earlier announced on their social media accounts that, Indians can enjoy the sale of Oneplus Cardboard in the 3rd week of July & Just yesterday they tweeted that Oneplus Cardboard will be available to buy on 17th July via Amazon(India). So folks, tomorrow is the day better watch your clocks & stay alert, as it can go live anytime. 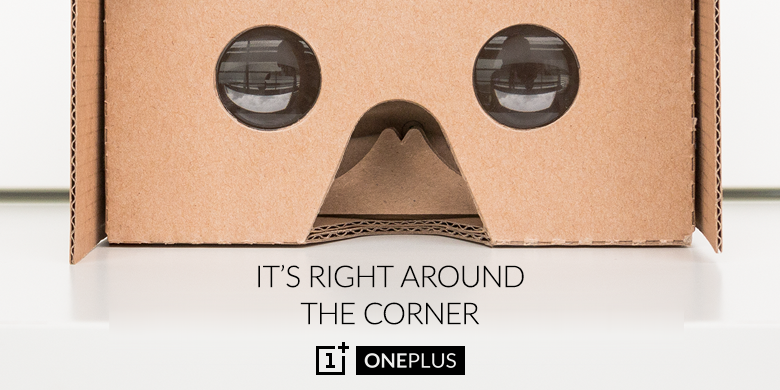 Why do i need a Oneplus Cardboard ? Well, simply head over to YouTube App and do a gentle left swipe gesture from the left edge on your Android/iOS device, scroll down a bit there you'll find a new option called Youtube 360 ! Select it, play any video in that segment and there would be icon like a Goggle, tap it & you would know why you need a VR headset. Instead of buying a high end VR headsets like Oculus, Samsung gear VR.etc You can get a glimpse of Virtual Reality on your Android or iOS (iPhone) device with Oneplus 's offering. This is what Google cardboard does but still it's not as freaking affordable as the Oneplus Cardboard. So a little suggestion grab one to simply try it out. Fill in your credentials everything from your address to pincode (generally asked while buying a product) on your Amazon account as creating an account wouldn't be a good idea at that time. If you have credit card it'll be faster for checkouts. If the Webpage goes down try loading the App, as sometimes the App is running on a different server which in turn will do your work. QuickNote : Favorite Oneplus India on twitter, so that as soon as they tweet the time Cardboard goes live, the next second you can be glued to your Computer screen ! Also See : Everything you need to no by far about Oneplus 2. Feel free to Share, if you find it useful.